Talking about wine tourism, it is not easy to make a definite choice for the destination of your dream for 2019. There exist about 70 nations across the globe producing excellent wines, equally competitive among each other to win a tourist’s interest. The best wine destinations in the world are thus a matter of deliberation as to when you are travelling. Wine regions are scattered across Europe, in the Americas,South Africa, and Australia and recently Asian countries have also joined the wine race. This picturesque region is only a few hundred miles from the city of Porto and offers sylvan wine estates called Quintas, frozen in time since the 18th and 19thcenturies.This UNESCO world heritage site features stone terraced vineyards lying at an elevation along the river Douro snaking along the spectacular terrain. After occupying the Iberian Peninsula, the Romans have brought the cult of wine production over here that has now bloomed into a wine connoisseurs’ paradise. The most popular producthere is Vinho Verde White wine. Among other much sought – after varieties from smaller Quintas are terrific wines fermented from native grapes like AlfroCheiro. 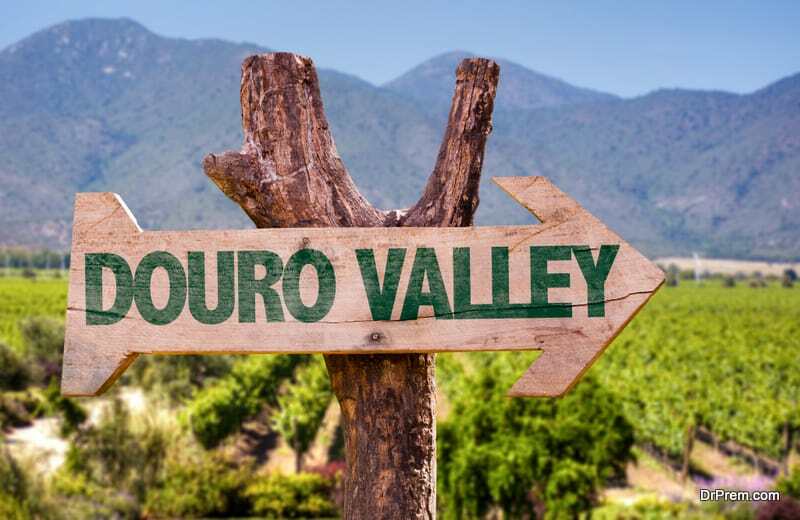 Guided tours are available, including wine tasting around celebrated wineries like Quinta da Pacheca, Quinta da la Rosa, and Quinta das Carvalhas. There is a wonderful arrangement for the wine cruise as well. Your steamer cuts across crystal clear water through the beautiful vineyards. Best time to visit is from late September to the beginning of October. This mesmerizing wine destination is surrounded by highlands and mountains. Wine cultivation was introduced by French Huguenots back in 1688 and the vineyards are truly amazing. And for 2019, make sure it features in your bucket list. You have here offers for dainty red wines like Pinot Noir and Shiraz and whites like Chardonnay and Semillon, highly prized for their taste. 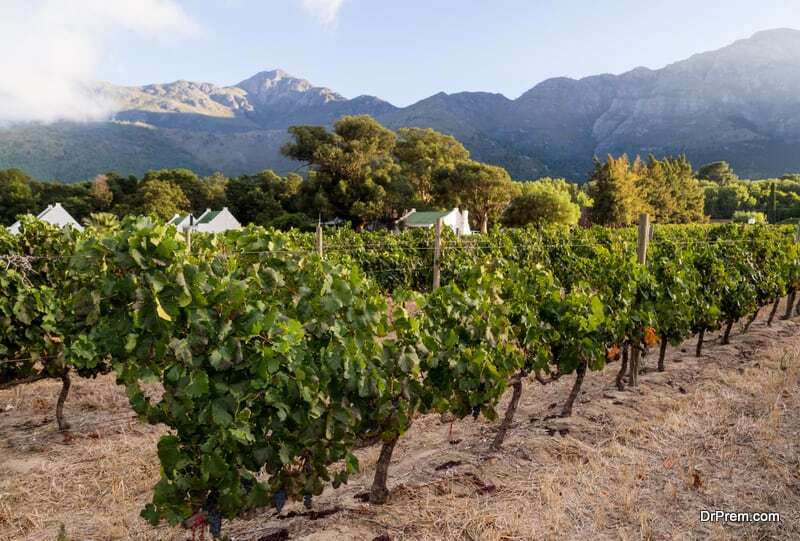 Tours along popular vineyards like Chamonix,AlleeBleue, La Molte and Solms Delta deliver an awesome combination of wine tasting, good food, grapes picking, olive tasting and even extends into honing your culinary skills like chocolate making. Best time for a trip is from September to February. 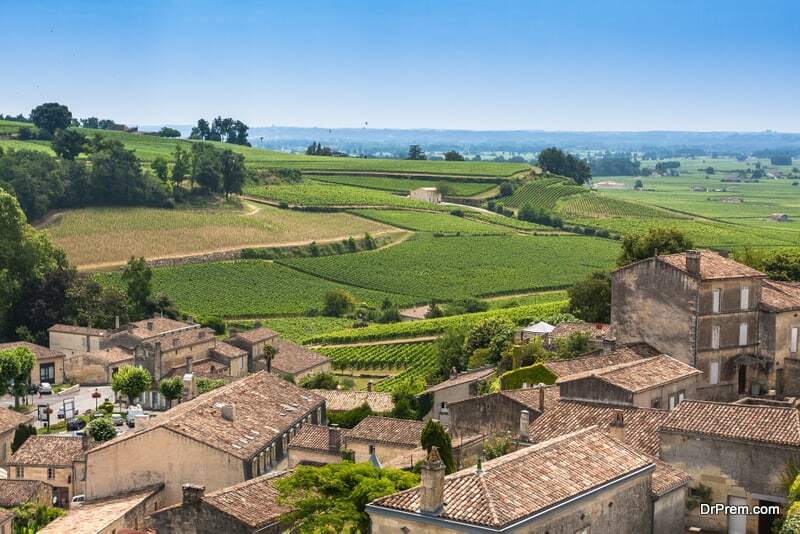 One of the most renowned wine regions in France, Bordeaux makes for one of the best wine destinations in the world. Red wine here is thick in hue with a rich flavor. Most of the tourists’ focus is on Les Cordeliers’, one of the most favored sitesin France’s rustic wine regions. The estate is located among the dilapidations of a 14thcentury Franciscan monastery. Cremant de Bordeaux wine comes shimmering matured in century-old cellars. Other wineries of tourist interest are Château Coutet and Chateau TroplongMondot. At Maisan du vin of St Emillion wine school, you have an exposure to the fundamentals of wine tasting. Tasting tutorials run from mid-July to end August on regular basis. Best time to go there is in April and May. Greece comes among frontline nations, presenting itself as one of the best wine destinations in the world, thanks to it being blessed by a Mediterranean sun and shine. Capital Chisinau is just a matter of two hours flight from London, Vienna and Milan. Primary wine growing regions are Condru, ValulLuiTraian, Stefan Voda and northern Baltil. These are within quick and easy access from the capital. A substantial section of the Moldovan population is engaged in wine industry to the tune of about 25%. Even the country’s airport is named after the brewed grape juice. It is not surprising that the world’s largest wine cellar is located right here. Running to a length of 150 miles, it stores over 2 million bottles and has a dumbfounding capacity to stage a 10 km annual wine run! 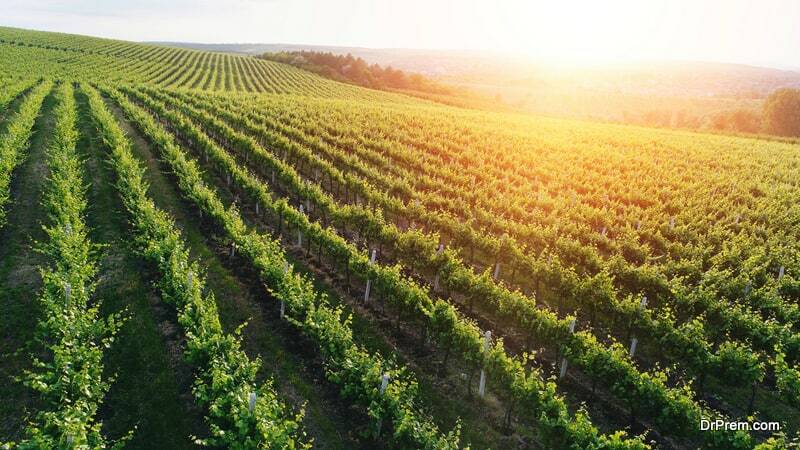 Macedonia, situated in the northern part of the nation, has every right and reason to become one of the best wine destinations in the world. Never miss a visit to the port city of Thessaloniki. Here, the local variety of primary red wine grapes xinomavro is pressed into awesome head turners. It is being cultivated for past 1000 years. These wines are strongly tannic with a crispy acidic tinge. 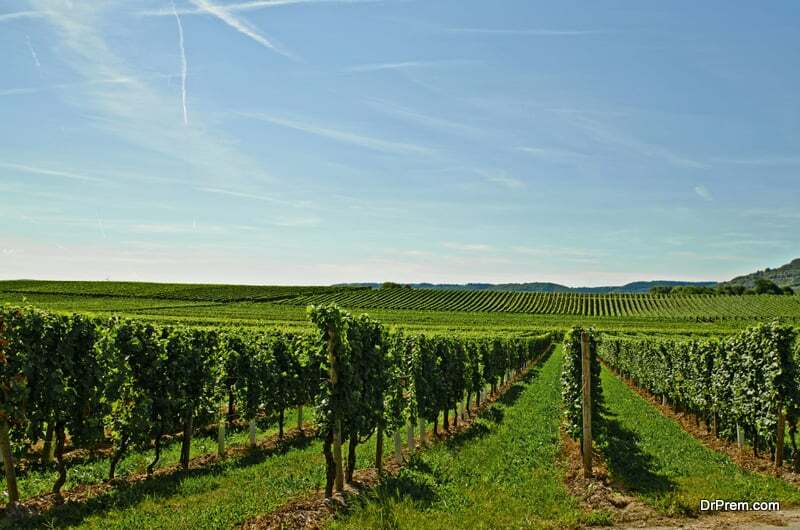 Though Germany is not traditionally known for winemaking, nevertheless along the banks of river Rhine stands long stretch of vineyards so far as vision can take you. Vineyards and wineries are set up in enchanting rural settings with ancient castles and pristine lakes in the backdrop. Almost 60% of production is devoted to white wine. Pinot Grigao, Pinot Noir and Blanc, Riesling, Silvaner, Mueller Thurgau, Dornfelder and Portugieser are some of the remarkable brands highly recommended. Arguably, Italy presents some of the best wine destinations in the world. The varieties of grapes are numerous, owing to diverse climates and landscapes from highlands to coastal plains. Consequently,wines differ in taste and flavor. Most popular Italian wines are Barbera, Montepulciano, Barolos, Pinot Grigio and Prosecco. 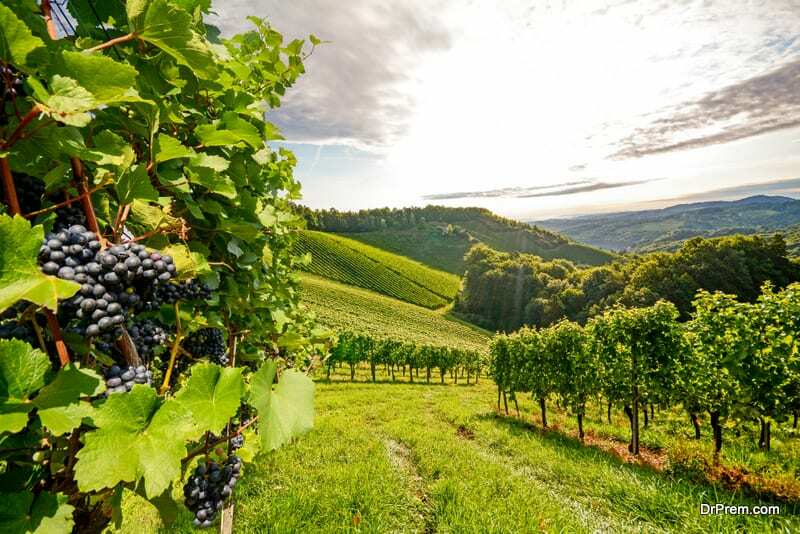 Italy had been a wine connoisseurs’ dream destination – be it in Tuscany, Sardinia or along the Amalfi sea coast. In US, California had been the prime hub of grape cultivation, and Sonoma is located right over here. It had been overshadowed by the famous Napa Valley, however, compared to the former, Sonoma is more quaint, charming and pastoral. 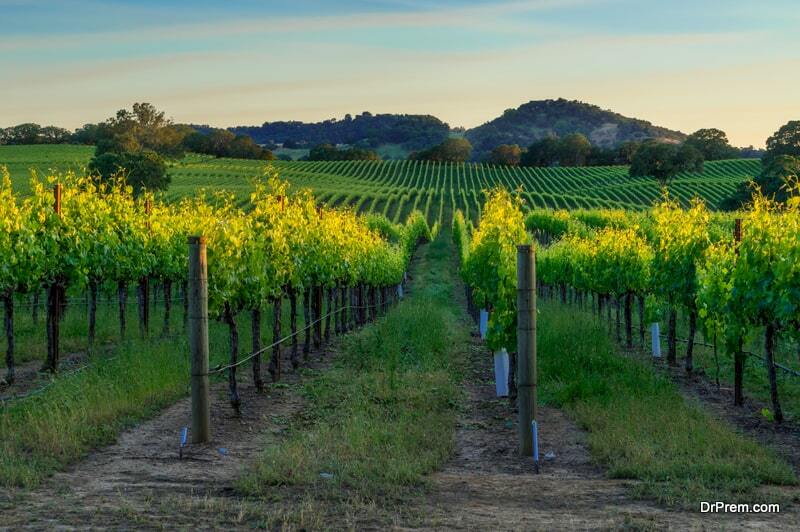 Sandwiched between the Pacific coast and Sonoma Mountains, the unspoiled splendor cast by vineyards can easily qualify for being one of the best wine destinations in the world. Stellar vintages in Sonoma are as heady as the gorgeous town of Santa Rosa, featuring amazing museums and great eateries. 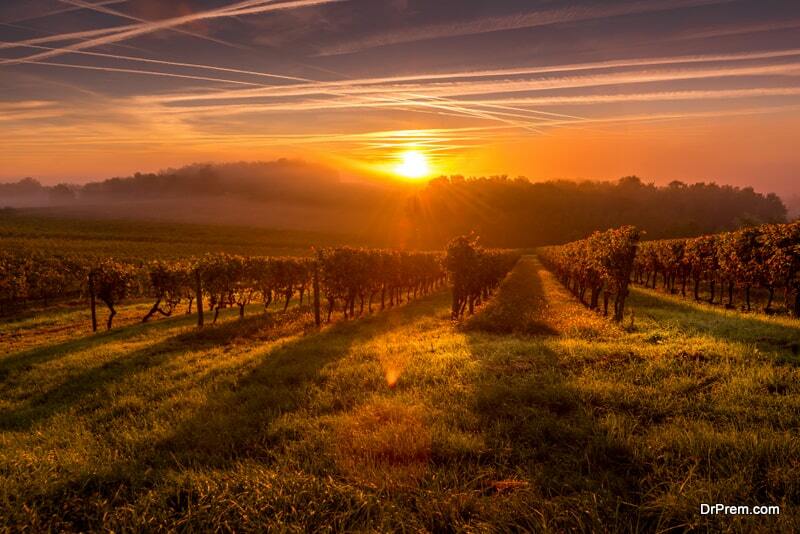 You will be savoring a great wine escapade in the states. 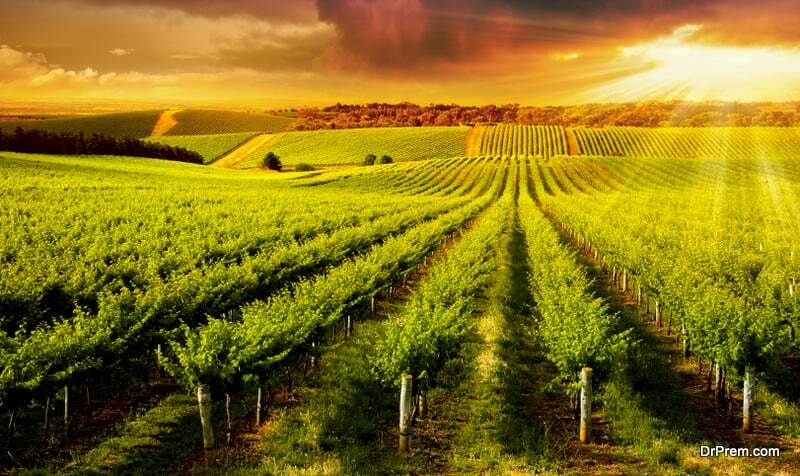 This wine-growing region in the southern coast of Australia is home to 25000 square miles of sprawling wine estate. Tasmanian wine country can be considered one of the best wine destinations in the world. Tasmanian produces like Chardonnay and sparkling Pinot noir had brought the nation under global limelight. Wine tourism here is custom designed and offers wine tasting and guided tours around wineries. Tasmania has been producing terrific Riesling, Domaine A for Sauvignon Blanc, Pinot Gris and Pooley wines. Wine and seafood here make a deadly pairing. 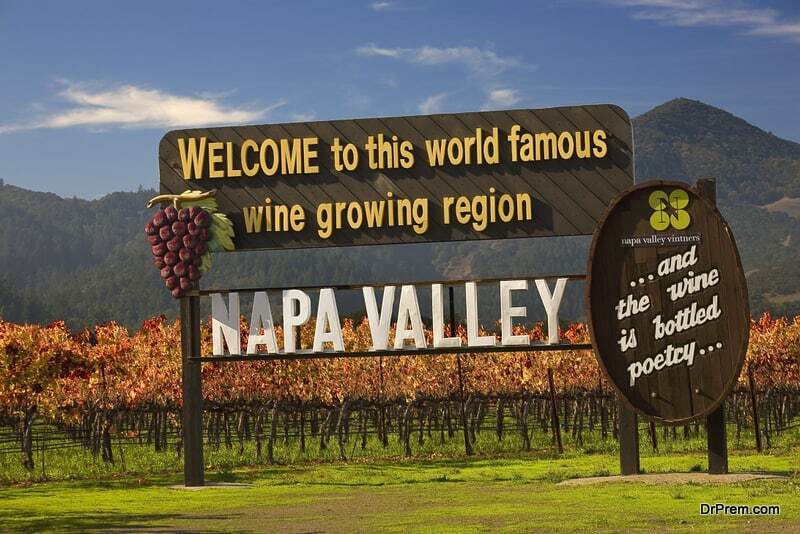 Napa Valley in US is a legend in wine tourism and perhaps the best wine destination in the world. 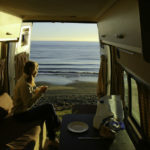 Wineries like Alpha Omega, O ‘ Brien Estate winery, Black Stallion and Chateau Montelena offers excellent wine vacations. Wine tasting and tours are well organized, exposing you to nuances of flavor profiling and technicalities of wine making. Those with a penchant for Cabernet Sauvignon shouldn’t miss vineyards like Silver Oak, Corison and Inglenook. Napa Valley wine train will take you through wine estates – a trip to remember. Guided bike tours are also in vogue. The best time to visit is from the end of August through October.